Alpine Routes, Sport Climbs, & Crag Climbs For years, climbers have consulted Selected Climbs in the Cascades for the region's finest, most enjoyable, most aesthetic climbs. This follow-up volume, with all-new routes, details a similar mix of walk-ups, snow climbs, scrambles, wilderness alpine routes, hard rock climbs, ice climbs, and strenuous mixed climbs, with one major addition: sport and crag climbs. There are routes here for climbers of all skill levels, making this an ideal guide for everyone from beginners looking for the easiest routes up the gentler Cascade peaks to advanced rock climbers looking for a fresh, new challenge. 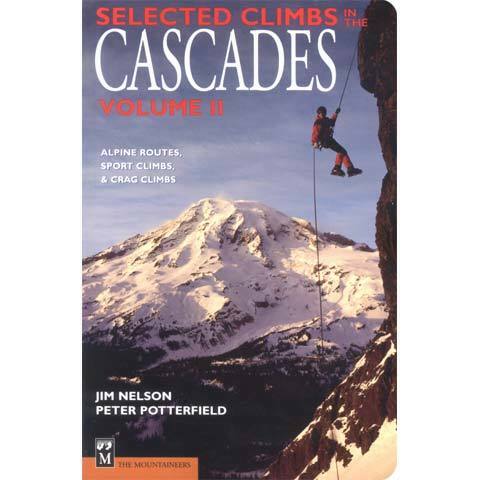 Like the first volume, Volume II includes detailed approach and route descriptions, permit requirements, topo maps, and photos for each climb, plus information on first ascents, equipment, areas of caution, and special considerations for climbing in the Cascades.